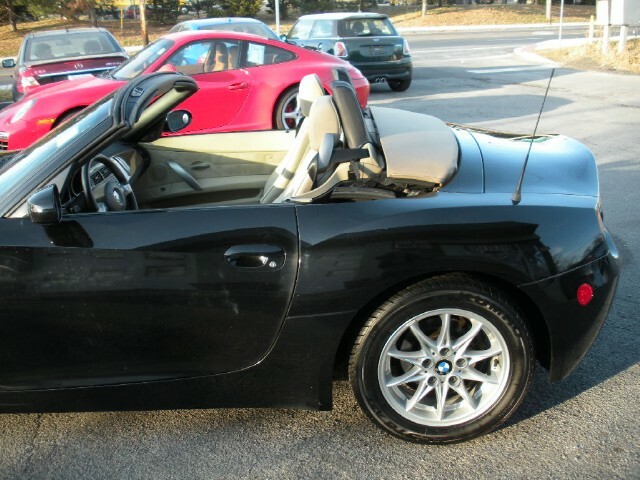 68896 MILES - TWO ONER, ALL ORIGINAL MILES - GUARANTEED. 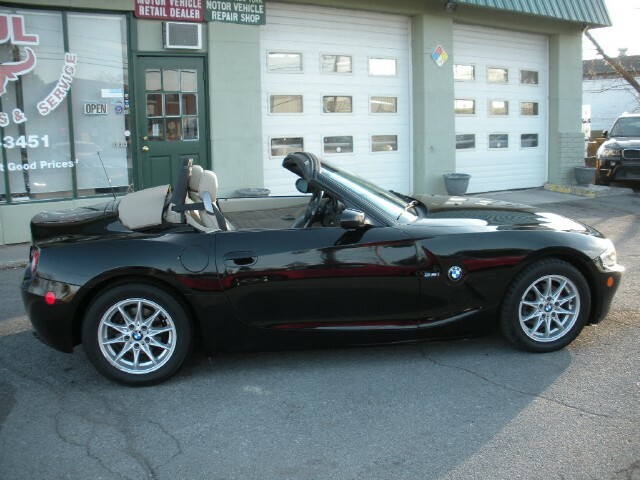 IT WAS JUST TRADED IN LOCALLY FOR A NEW CAR AND WE BOUGHT IT FROM THE NEW CAR DEALER WHERE IT WAS TRADED IN. 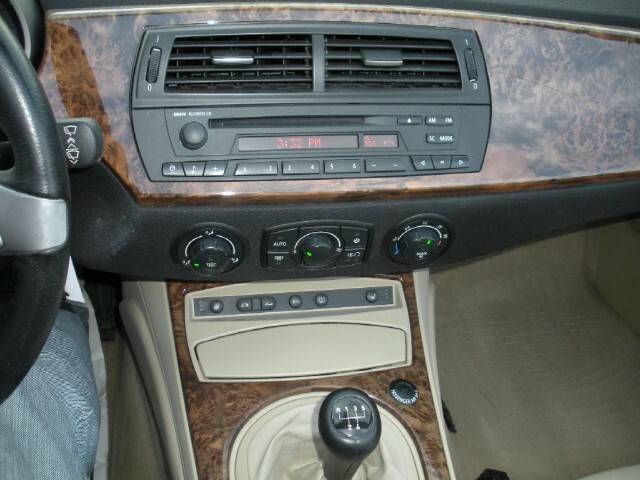 IT IS ALSO LOADED WITH ALL THE FEATURES. 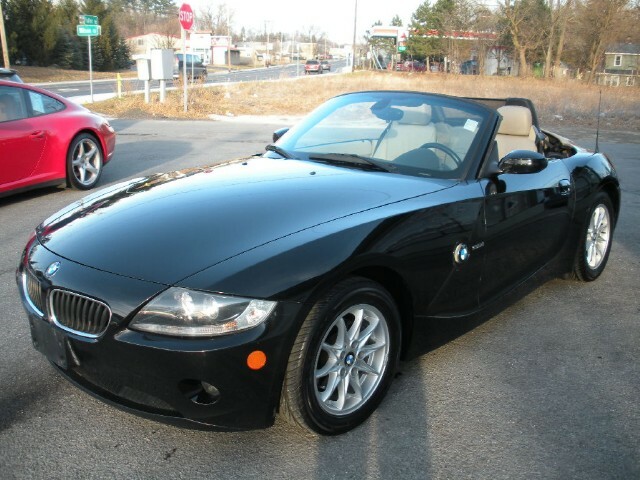 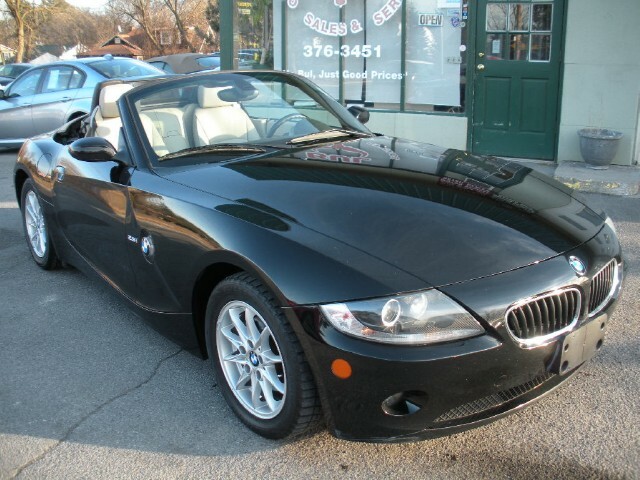 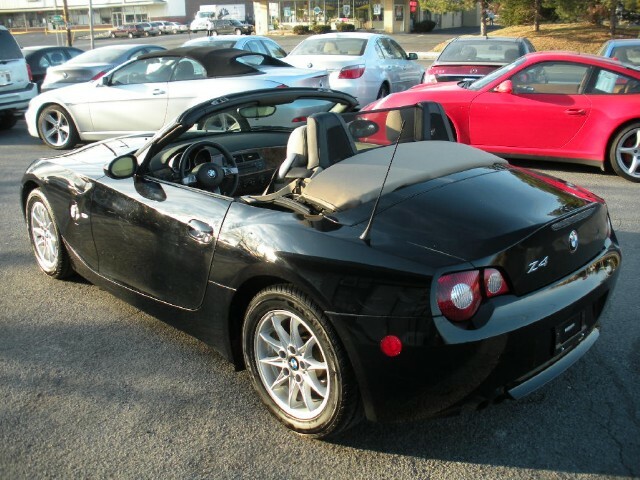 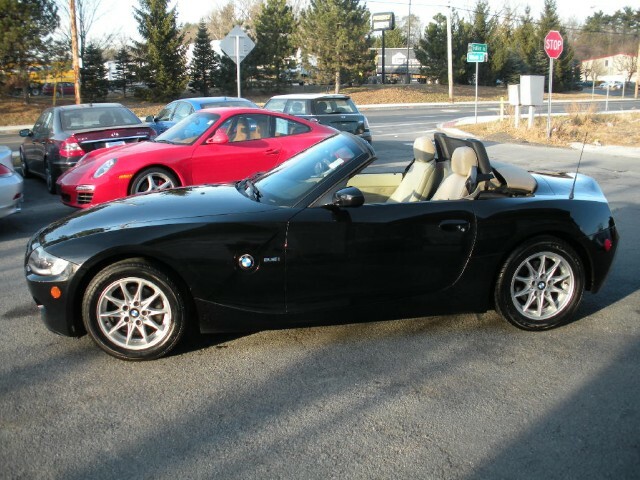 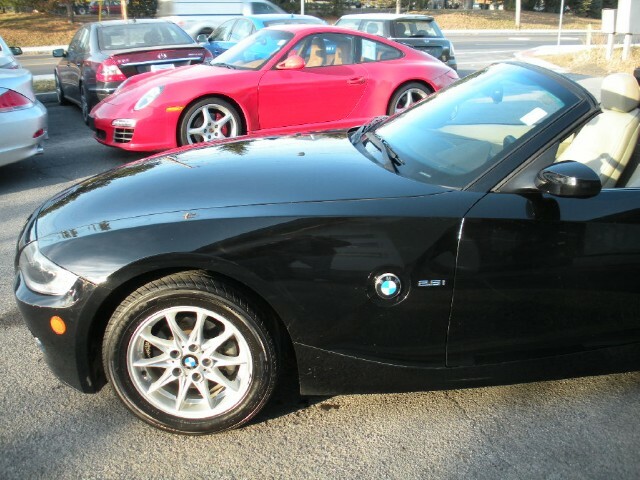 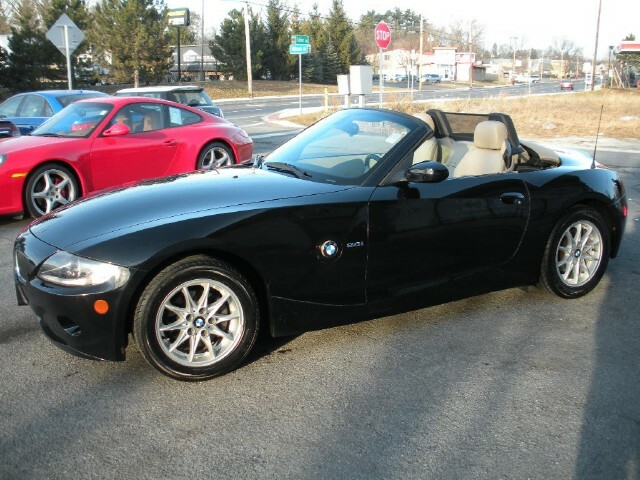 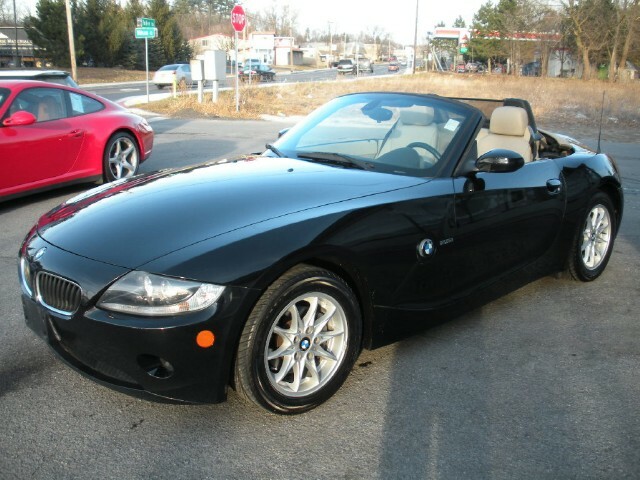 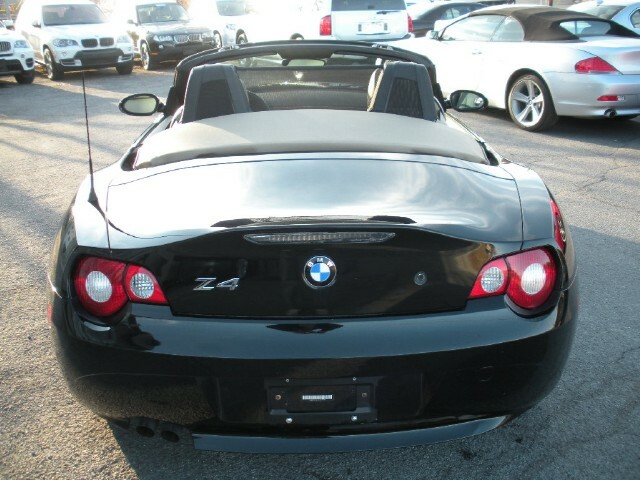 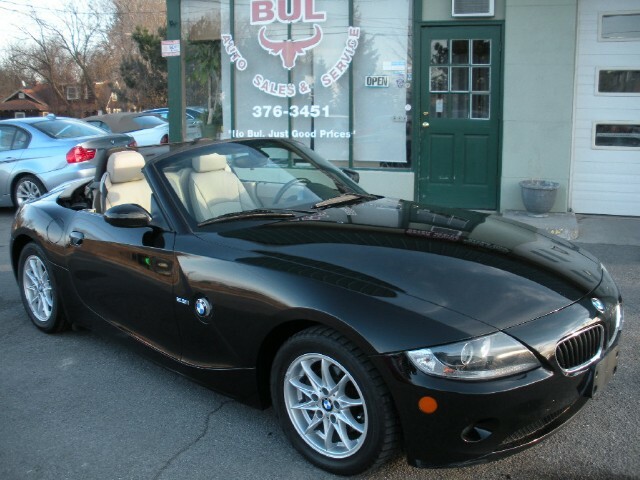 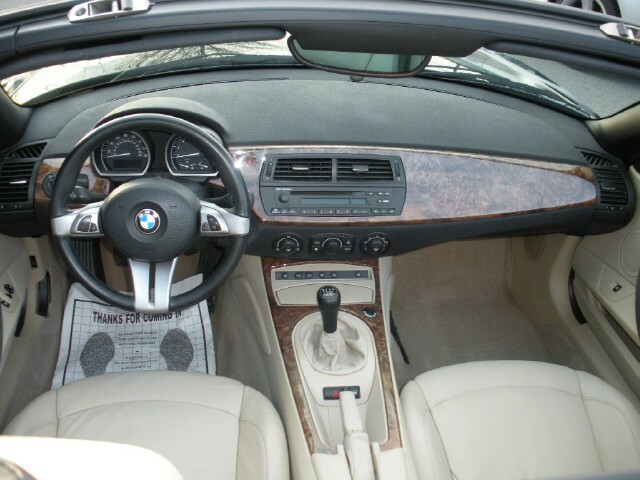 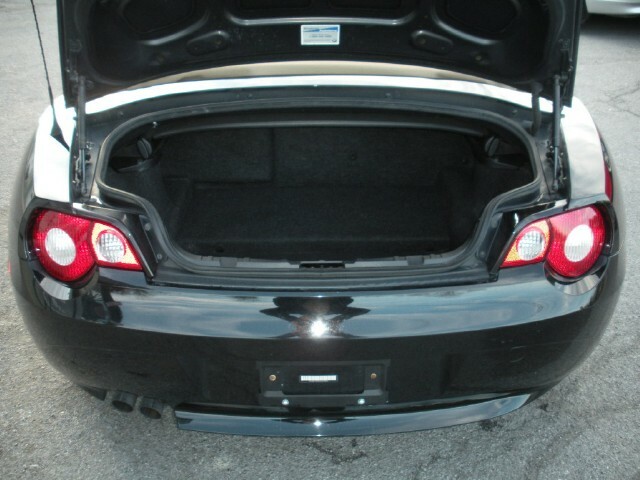 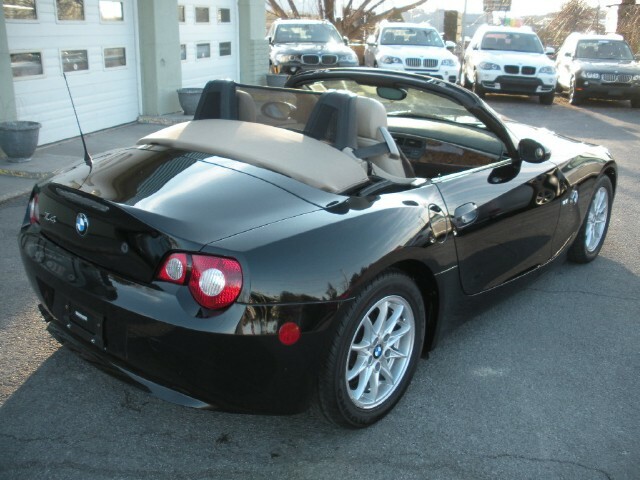 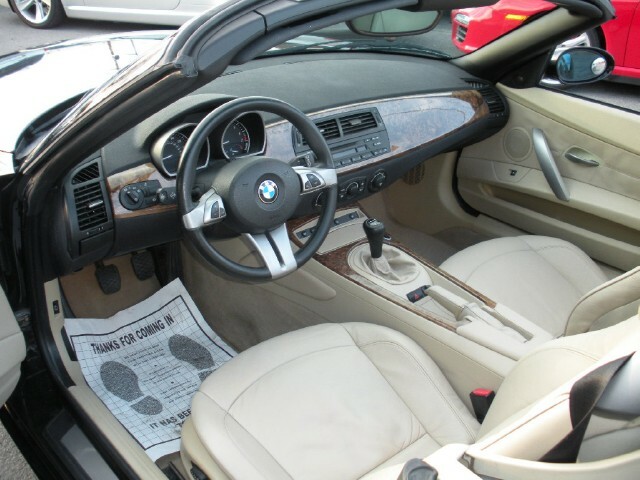 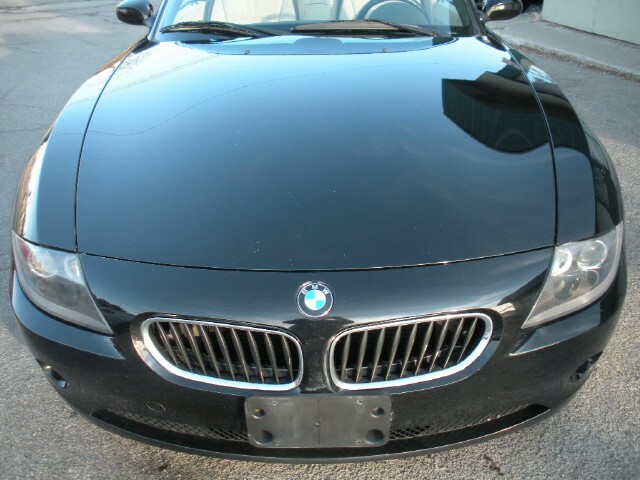 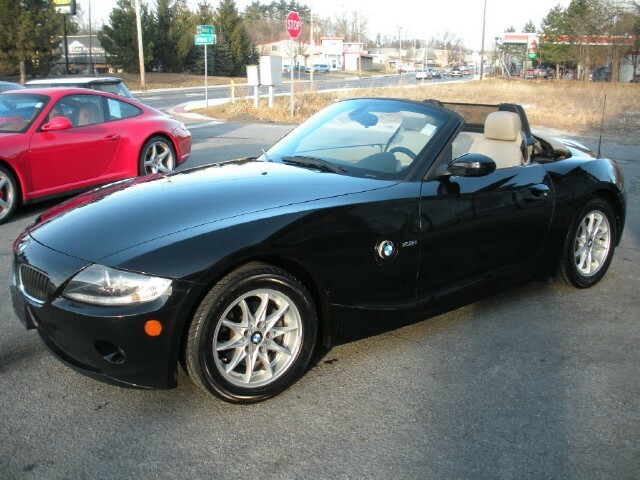 THIS Z4 HAS A 2.5i 6 CYLINDER ENGINE WITH A RARE 5 SPEED MANUAL TRANSMISSION. 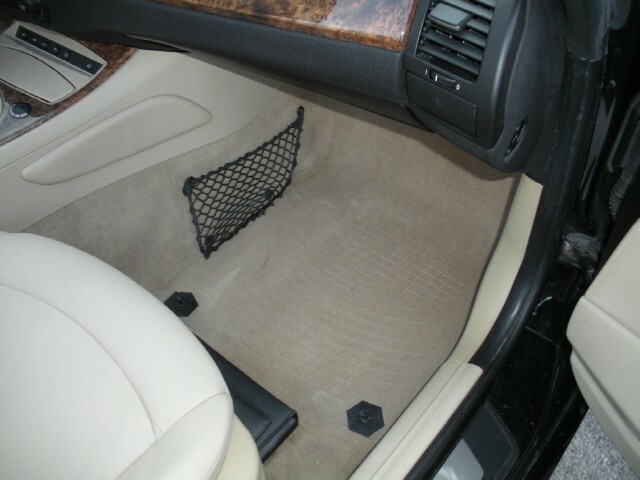 IT IS AUTOCHECK GUARANTEED HISTORY VEHICLE. 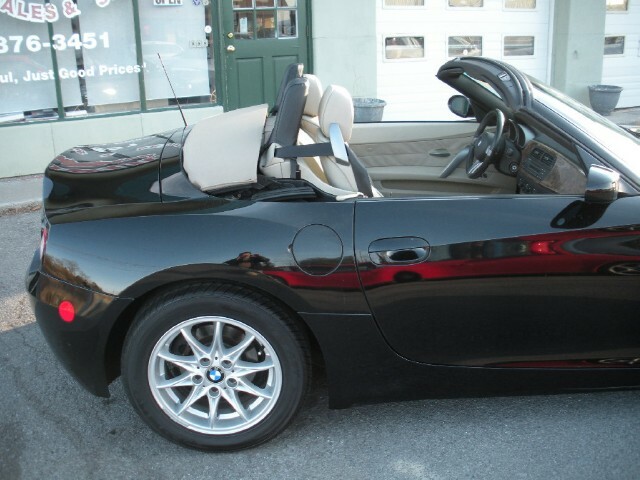 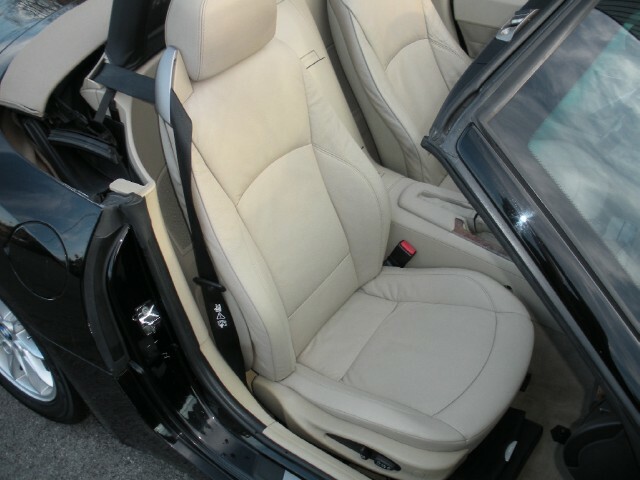 IT IS LOADED WITH ALL THE AMENITIES LIKE JET BLACK EXTERIOR COLOR, TAN/BEIGE LEATHER INTERIOR, TAN/BEIGE SOFT TOP, 16 INCH ALLOY WHEELS, LEATHER INTERIOR, PREMIUM PACKAGE, Hi-Fi PREMIUM SOUND SYSTEM, HEATED FRONT SEATS, RAIN SENSOR AND AUTOMATIC HEADLIGHT, FOGLIGHTS, CRUISE CONMTROL, MULTI-FUNCTION STEERING WHEEL, POWER WINDOWS, POWER LOCKS, AIR CONDITIONING, DTC - DYNAMIC TRACTION CONTROL, TRACTION CONTROL SYSTEM, CRUISE CONTROL, LEATHER STEERING WHEEL, POWER SEATS WITH MEMORY FOR DRIVER'S SEAT POSITION, DUAL FRONT AIRBAGS, DUAL SIDE AIRBAGS, FULLY AUTOMATIC POWER OPERATED CONVERTIBLE TOP, AUTO-DIMMING REARVIEW MIRROR, MULTI-FUNCTION STEERING WHEEL WITH CONTROLS FOR STEREO AND CRUISE, AND MANY MORE OPTIONS. 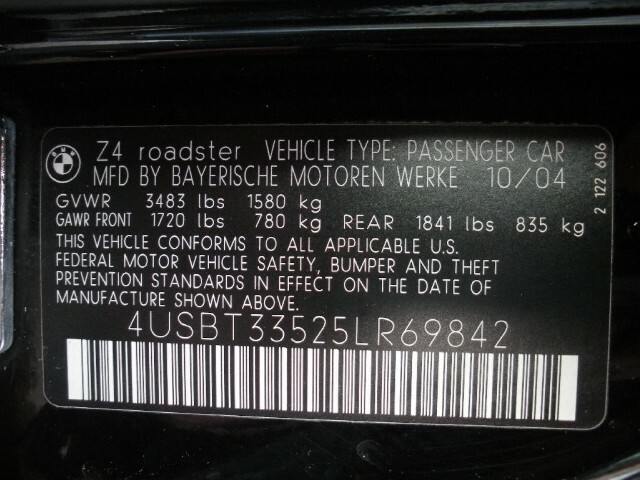 FOR A COMPLETE LIST OF ALL OPTIONS PLEASE LOOK BELLOW THE DESCRIPTION IN THE OPTIONS SECTION. 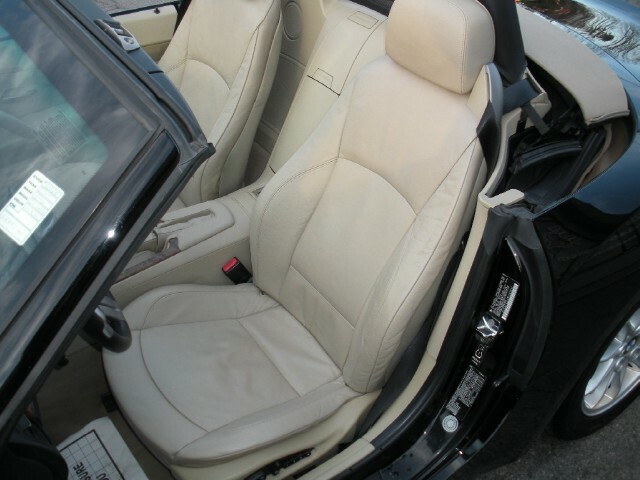 IT WILL COME WITH 3 MONTHS OR 3000 MILES 4 STAR PLUS COMPREHENSIVE WARRANTY BY WARRANTY SOLUTIONS, GOOD ANYWHERE IN USA. 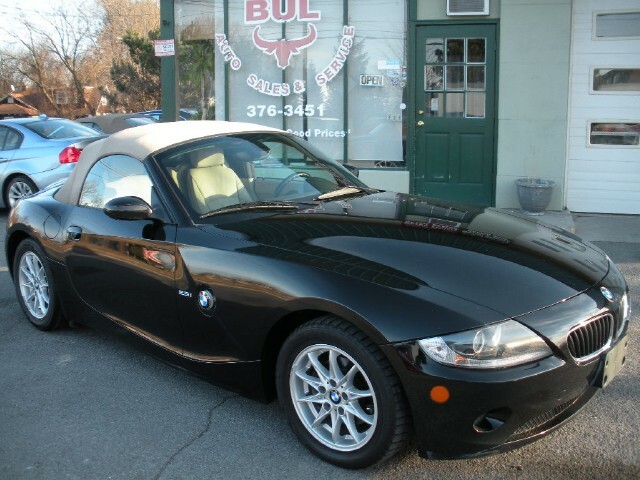 LONGER TERMS ARE AVAILABLE TO PURCHASE. 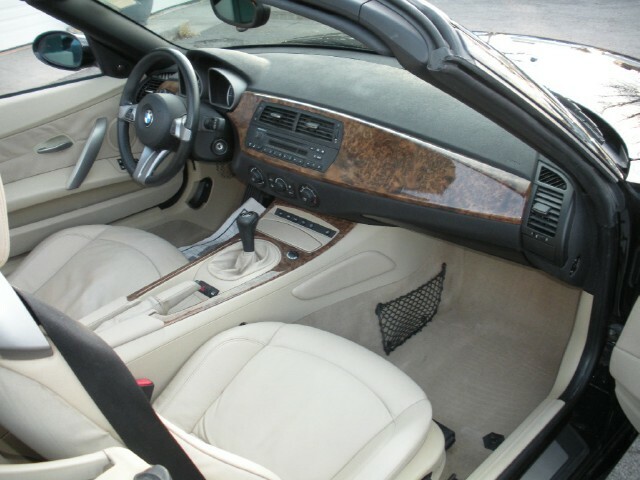 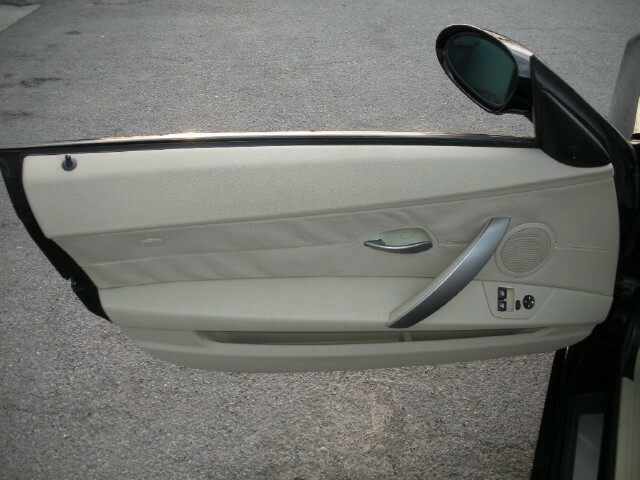 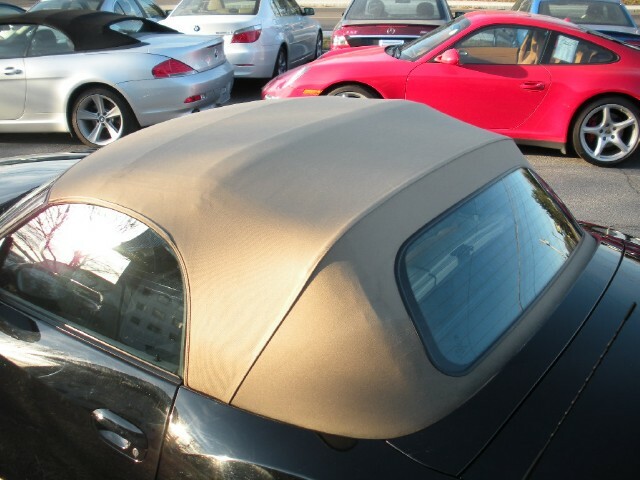 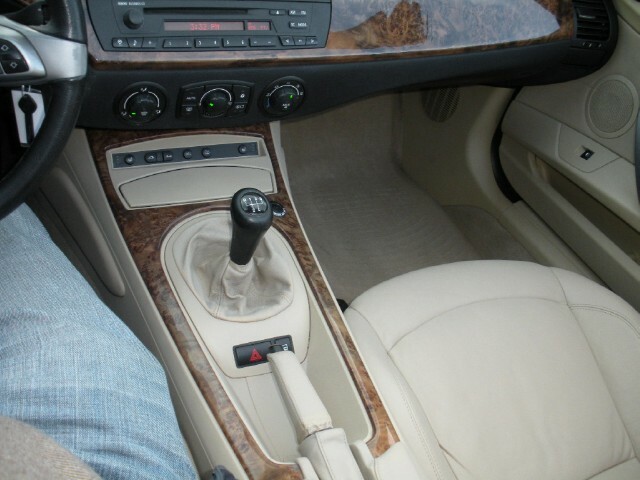 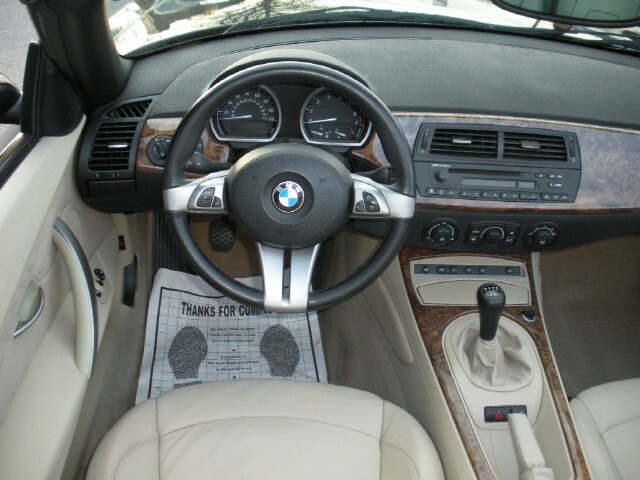 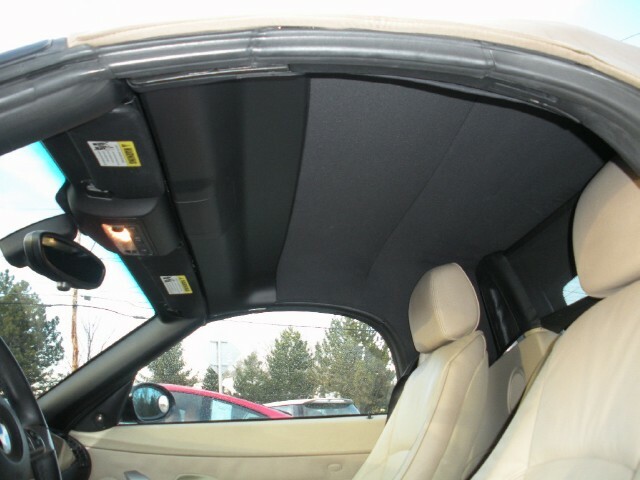 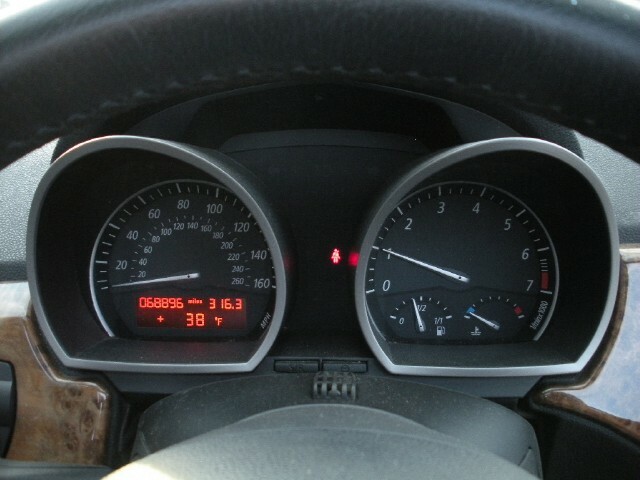 THIS CAR IS IN EXCELLENT CONDITION AND SHOWS VERY LITTLE TO NO WEAR OR TEAR INSIDE OR OUT. 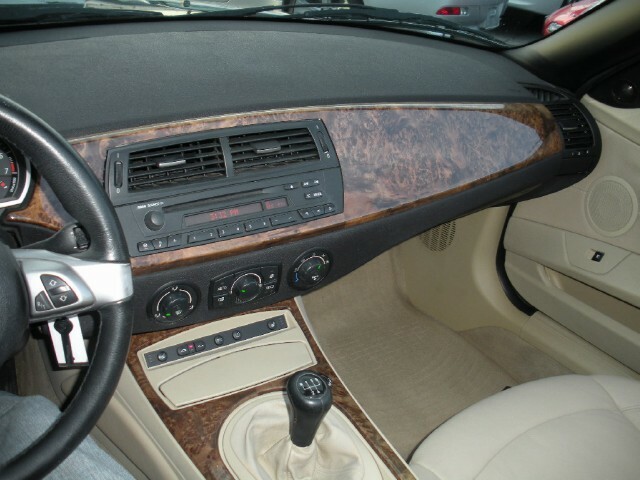 THE INTERIOR IS EXCELLENT. 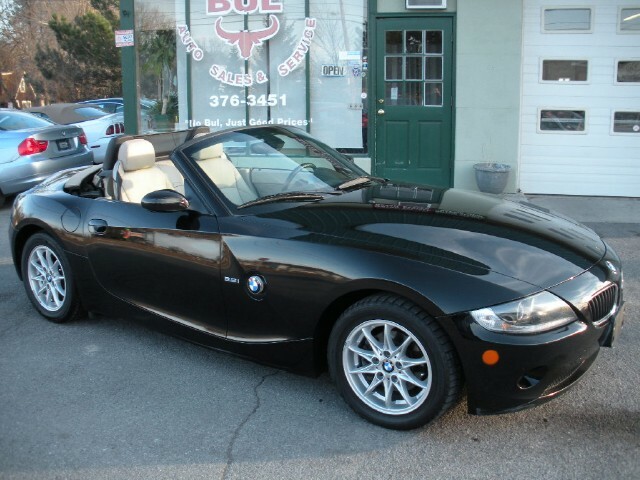 THE EXTERIOR IS NEAR PERFECT AS WELL. 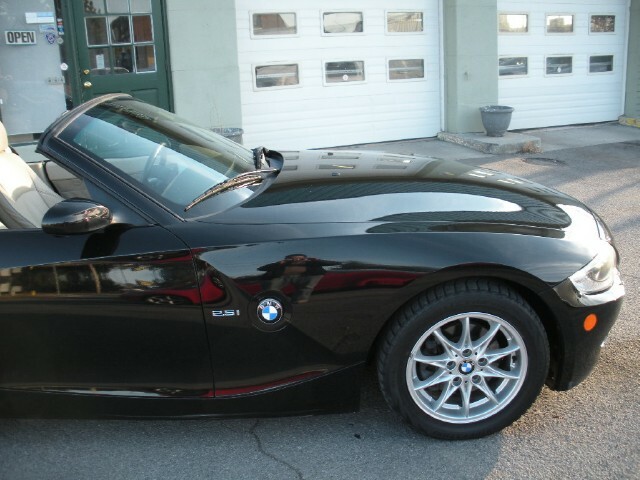 THE FRONT BUMPER HAS SOME CURB RASH ON THE VERY BOTTOM, WHICH IS NORMAL FOR Z4'S DUE TO THE LOW CLEARANCE IN THEFRONT. 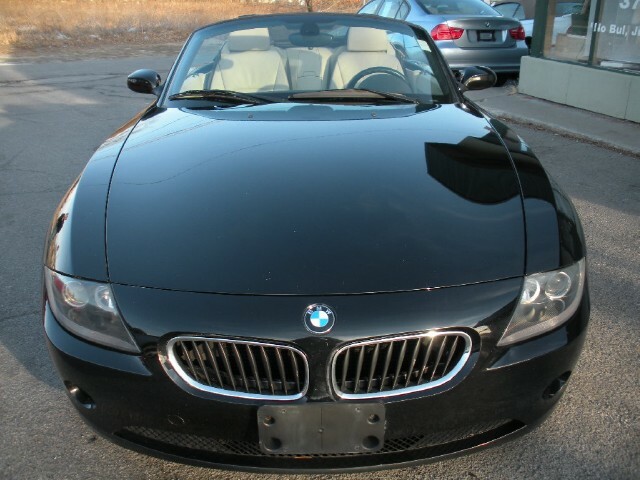 THERE ARE SOME VERY MINOR STONE CHIPS, BUT NOTHING NOTEWORTHY. 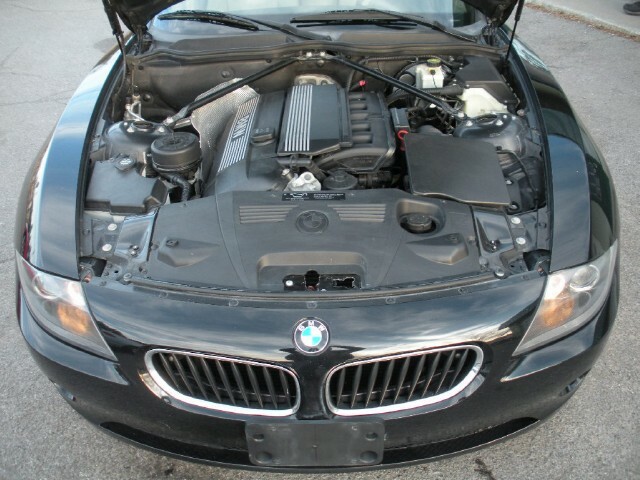 IT HAS GREAT APPEARANCE AND RUNS AND DRIVES PERFECT AS WELL. 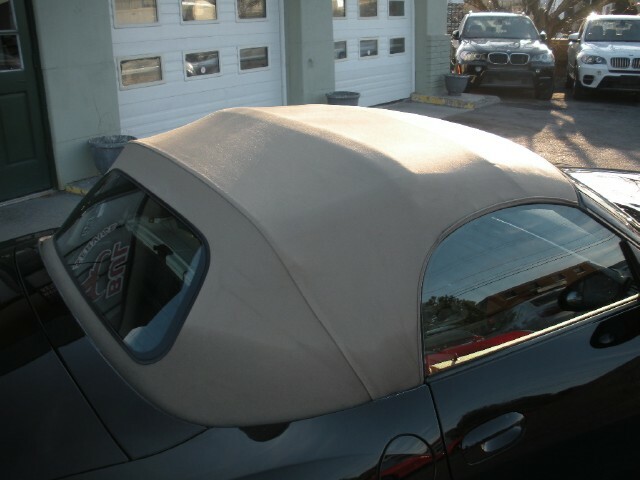 THE TOP WORKS WELL.